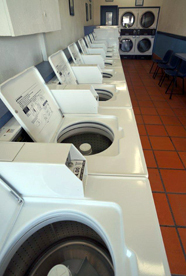 Brisbane Southside Laundromats – Do Your Whole Week’s Wash in Less Than One Hour! 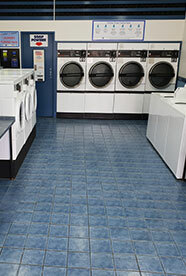 We operate top quality, modern and clean self service coin operated Laundromats in 5 convenient Brisbane locations. No Cash? No Worries! - We're rolling out our new machines that accept notes, card or contactless payments. Check if your local store has been upgraded yet! News! 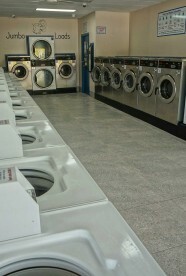 - Most of our Laundromats are now open 24 hours, 7 days a week, 365 days a year for your convenience! 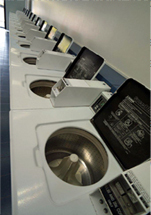 Our coin laundries have up to date easy to operate equipment, suitable for all your washing needs. Large front load washers in each shop make blanket or curtain washing easy. 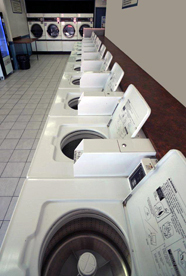 All our laundromats are located on Brisbane main roads with ample parking and easy access. 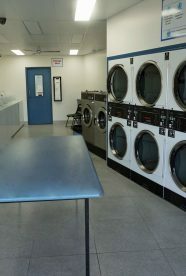 Even if you have your own washing machine, a trip to one of our Brisbane Laundries will slice hours off your washing routine. News! - Renovations and expansion at our Acacia Ridge and Highgate Hill stores are complete - come check it out.